Doka know-how helps build the world's tallest buildings and is much in demand on tunnel projects as well. 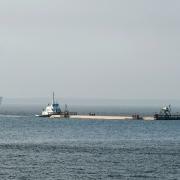 A build-in-progress at depths of 26 m below the surface of the sea, the Second Midtown Tunnel now nearing completion will be another connecting link between the cities of Norfolk and Portsmouth in the state of Virginia, USA. 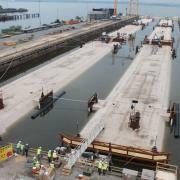 The immersed tunnel consists of eleven individual sections pre-cast in the Baltimore dry dock and then towed some 320 km south into the Elizabeth River for immersion on site. Norfolk and Portsmouth have been linked beneath the Elizabeth River since the building of the first underwater tunnel just over 50 years ago. Carrying around a million vehicles per month, this transportation artery is one of the busiest routes east of the Mississippi. Chronic congestion in and around the two-lane tunnel has long been the order of the day. To relieve this situation, the old Midtown Tunnel is to be rehabilitated and a new two-lane immersed tunnel built alongside it. Together with the existing tunnel, the Second Midtown Tunnel will double traffic capacity on this route. The 1.13 km long Second Midtown Tunnel consists of eleven separate sections, each measuring approx. 106 m long by 16 m wide and 8.8 m high. Each section weighs nearly 16,000 metric tons and the sections are pre-cast one after the other in a dry dock in Baltimore, Maryland. The finished sections then embark on a 320-km southbound voyage. 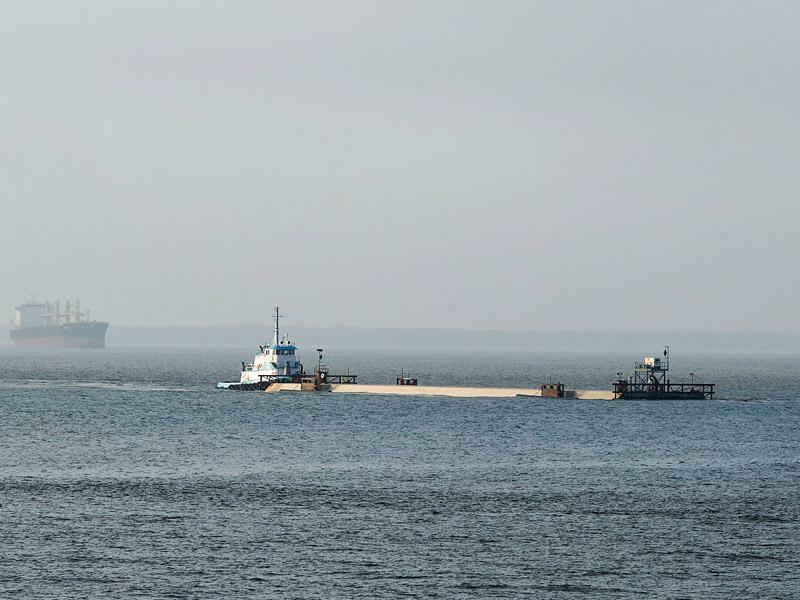 Giant barges float the sections through the Chesapeake Bay to the site in the Elizabeth River, where they are sunk into position and joined together on the seabed. 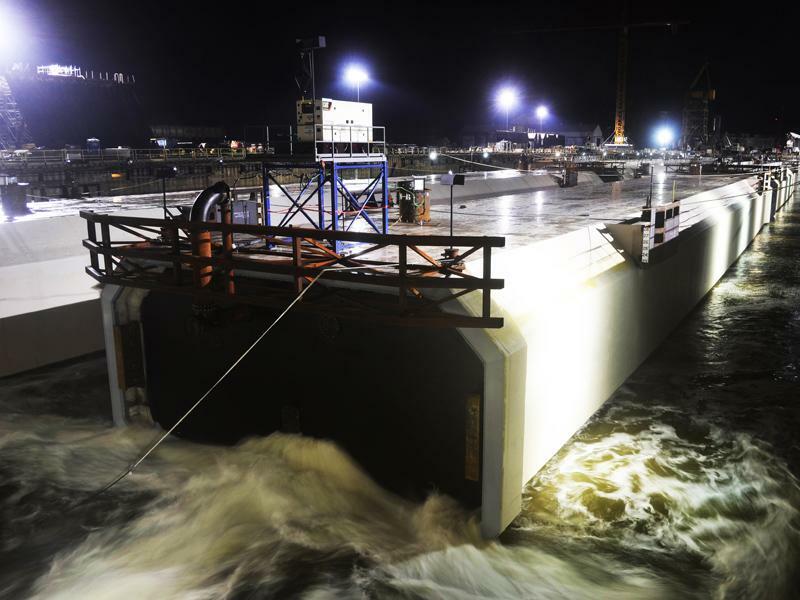 The work of assembling the Doka tunnel formwork traveller in the dry dock was completed by early 2013. 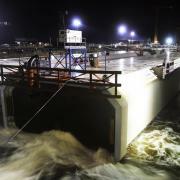 The trial pours were successful and 'series production' of the tunnel sections went ahead in June 2013. At about the same time, from February 2013 until mid-2014 preparations at the future jobsite were in full swing. Major excavations were needed to get the river-bed topology into shape so that the sections could be submerged on schedule in the period between November 2014 and November 2015. 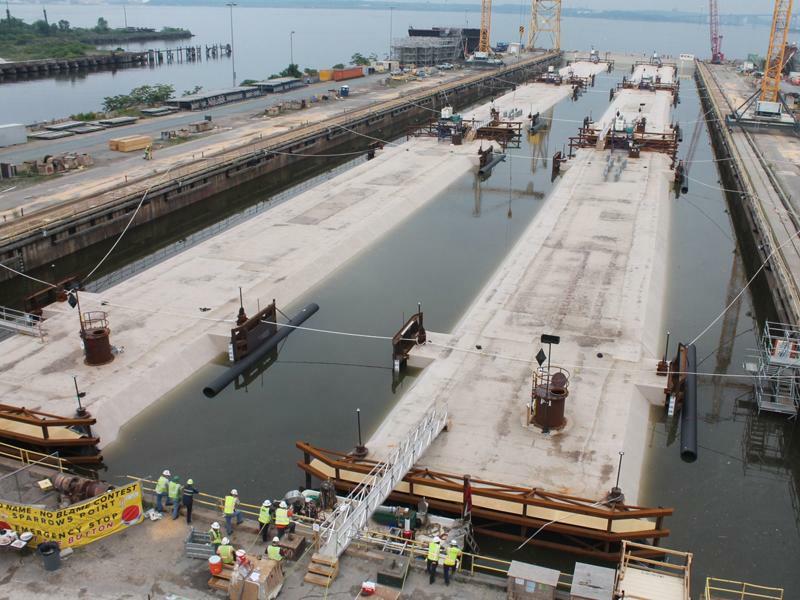 Summer of 2014, and the first six tunnel sections pre-cast in the dry dock have left "port" in Baltimore; work on the second batch is in progress. Bulkheads at each end make the tunnel sections watertight, so that they can be floated down the bay. On site in the Elizabeth River, surveyors use laser technology for precision positioning as the tunnel sections are eased to the river-bed at depths of up to 26 m. The sections are submerged by controlled flooding of the built-in ballast tanks. Rubber seals are the connecting elements between the individual sections. Once the bulkheads have been removed the finishing work on the tunnel commences. Completion is scheduled for September 2016. The four lanes available when the Second Midtown Tunnel is opened will spread traffic more evenly and help enhance road safety. "Our entry into the US market almost 20 years ago was a big part of our international expansion strategy and the right way to go. This is confirmed by the increasing demand for our products and services and the steady growth rates. The construction industry in the USA has recovered perceptibly and the prospects are looking good. We can extract above-average benefit from investment in the construction sector and post a solidly two-figure increase in revenues for 2014 on the US market", enthuses Dr. Andreas J. Ludwig, Executive Officer Doka Group Engineering and Production. Thank you for your interest - Underwater tunnel to facilitate traffic flow. Thank you very much for your interest - Underwater tunnel to facilitate traffic flow.